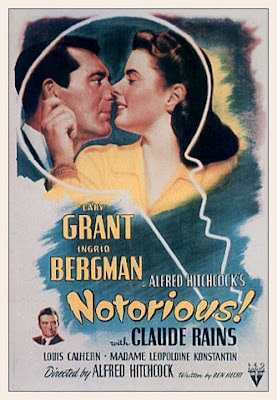 The on-screen romance of Cary Grant and Ingrid Bergman was seen for the first time in the Alfred Hitchcock's thriller 'Notorious'. This film is highly rated for its screenplay. 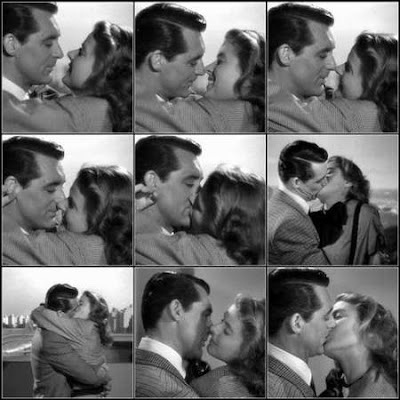 Some of the scenes involving Cary Grant and Ingrid Bergman was breathtaking, the famous being the on/off again kiss scene, the scene was shot in compilant with the Hayes code, that prevented at that time a kiss scene to be no more than three seconds. Alicia, the character played by Ingrid Bergman plays an undercover agent to the US Government in order to repay the moral debt. This was for the spying activities of her father. Her father was a German spy and he ends his life committing sucide while in prison. The Government agent T.R. 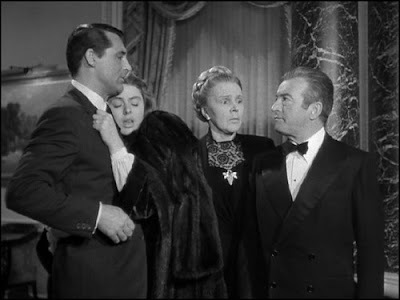 Devlin played by Cary Grant carries out a mission to trap other spies most notably Sebastian. Most of the movie shot in Brazil, where Sebastian (Claude Rains) along with his other partners in crime are operating their mission. A top secret project under a Wine Manufacturer's name. The story unfolds with Ingrid Bergman playing the undercover and helping the US Government to uncover the malicious intentions of Sebastian and Co. One can also see 'Christ the Redeemer', one of the 7 wonders at Rio in the movie. Alfred Hitchcock's cameo comes during the party at Sebastian's house. The director is having a drink. Watch out for the final scenes where an intoxicated Bergman has some of the finest lines in the movie. Cary Grant, unusually not with his humour wit, displays an angry look in the entire movie. Its such a rarity that, one is not able to see him smile, still manages to pull off romantic scenes with such ease and guile. Released in 1946, this movie was nominated for two Oscars in the Best Supporting Category for Claude Rains and for Best Story (Original Screenplay).